Bloomfield’s franchise agreement with Comcast, which provides local cable TV services, is scheduled for renewal. Please help us prepare for contract negotiations by submitting this survey by Monday, October 3rd. Thank You! Why do you subscribe to cable TV? How satisfied are you with Comcast Cable's service? What problems, if any, have you had in the past six months? How often would you say outages occur? Is Comcast Cable easily accessible by telephone? Have you had any billing problems with Comcast Cable? Did you know that complaints regarding your cable service could be registered with the BPU: Office of Cable Television? Do you know that the Township of Bloomfield has its own local access channels? What is local access television? Would you watch WBMA-TV (Channel 35) if it was available in high definition? What type of programming do you and/or would you watch on WBMA-TV (Channel 35)? 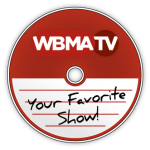 What regular programming on WBMA-TV do you watch? How satisfied are you with the selection of expanded basic cable chan- nels available (Lifetime, Discovery, Sci-Fi, etc.)? How satisfied are you with the current selection of premium channels (HBO, Showtime, Cinemax, etc.)? Do you watch programming in high definition?